The technologically advanced Electra 5S sets in with oodles of user-friendly facets with left-side 5 speed gear shift. This bike has really enhanced the cult of the Royal Enfield brand. The thumping of the bike is sourced from a Digital Transistor coil Ignition coming along with a push-button. 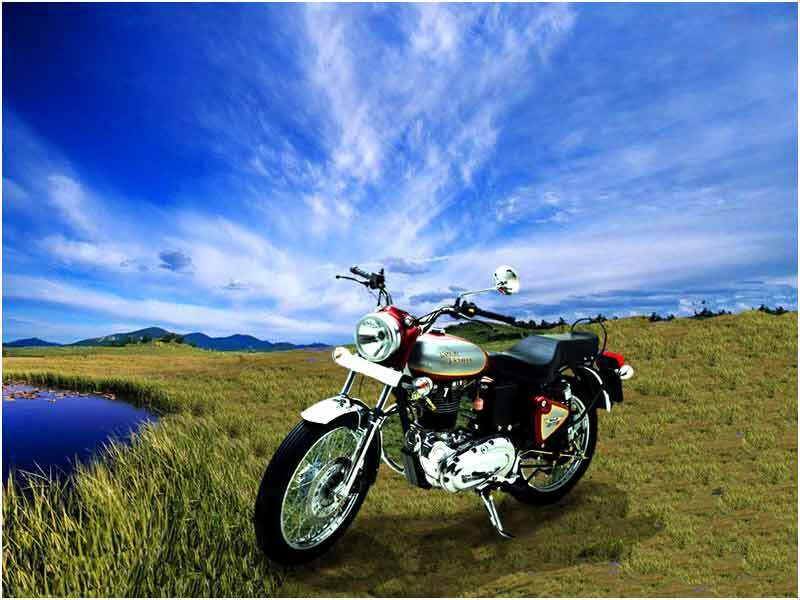 It owns gas-filled shock absorbers that serve the rider a comfortable ride in the midst of potholes and bumps. The high frequency noises of the machine are absorbed by the glass-wool silencer. The dual tone colors are the appealing touch in the bike and they add to the macho look of the bike. It has got a good repose in the market with a large number of buyers. Comfort and better safety are the two most desirable attributes which have made the bike market friendly. Electra 5S is loaded with a 346cc air-cooled, OHV engine with the 5 speed transmission which unleashes 18 bhp power at 5000 rpm and 32 Nm torque at 3000 rpm. The engine produces the great acceleration with the whack of 60 kmph speed in just 6.7 seconds and can target 110 kmph. 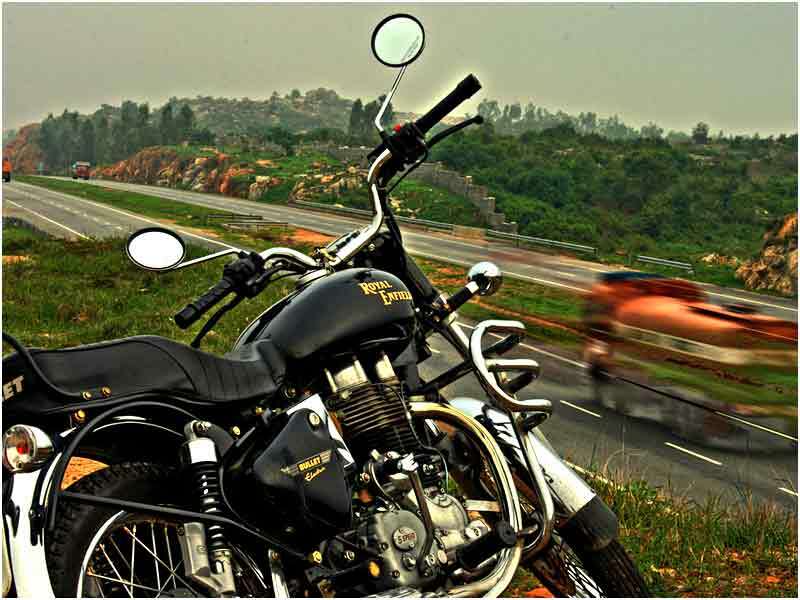 Bullet Electra 5S is the first motorcycle in India which has the true cruiser aspect with classical image and features. The new version of Bullet Electra, Electra 5S gets wonderful fuel tank. It comes in with the new 5-speed gearbox, push button start and the Digital Transistor Coil Ignition. The defining features of Electra 5S gives a satisfaction to the bulleteers in the country. The solid down tube frame provides the spine work. The multi- reflector equipped lamps add a touch of modernity to the new Electra. Electra 5S tail-lamp unit is broader and more perceptible than Electra. 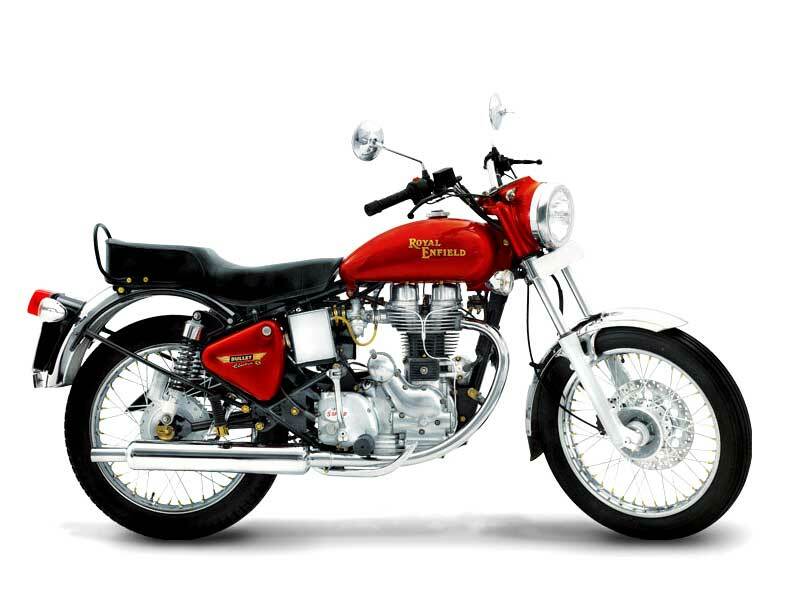 Royal Enfield Bullet Electra 5S comes in sparkling new dual-tone paint with marvellous graphic display. The steel stuffy body with black or red color gives rich contrast to Electra. With the top end performance, Electra 5S does not compromise with the comfort level as well. The handling in this bike is very comfortable with all the improved features. Unlike the one in the older Electra, it has left-foot-operated gear lever. The new gearbox has closer-packed internal ratios with the new cog keeping the fifth gear ratio identical to the fourth gear of the previous model. The starting now comes easy by the self-starter. The brakes with the front disc optional are excellent and reassured. Straight line stability with the long wheelbase is the natural characteristic of the Electra and this is no exception for the Electra 5S as well. The glass-wool-fitted silencer reduces the heat transmission. The bike provides enough room both for the heavy as well as tall riders with the heaven bound ride. It glides through the potholed surface helped by the gas filled rear shock absorbers. Riding the bike reveals the age old brand traits of Royal Enfield. The Electra's new stepped seat is better padded than the earlier versions. However the motor meets tough emission norms with a Pulse Air Valve which needs to be re-tuned to avoid complaint. Classic design and fuel efficient engine makes Electra 5S royal. The bike gives a decent mileage ranging at 30-32 kmpl. Available colors of Bullet Electra 5S are Red, Black and Silver.